02/01/19 Seeing Monarch Butterflies or Milkweed? Weekly news updates start February 14, 2019. Meanwhile, explore what happens month-by-month while the monarchs are in Mexico and as monarchs appear in other overwintering sites. 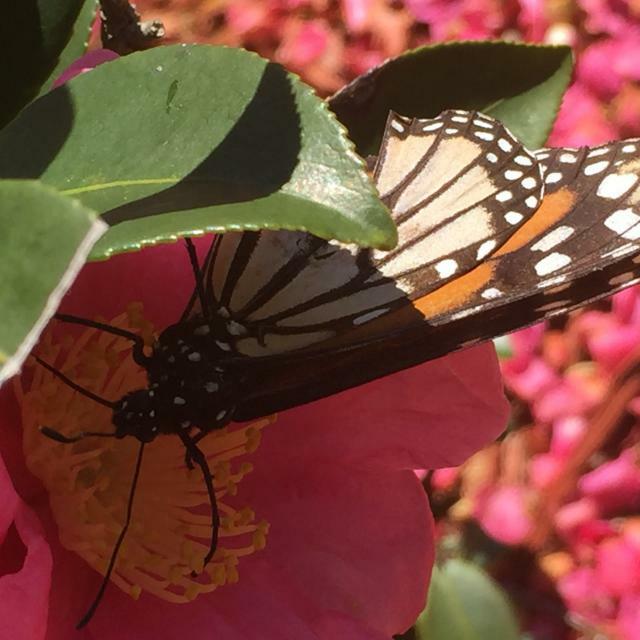 All along the southern half of the United States, Journey North volunteers are entering sightings and submitting photographs of monarch butterflies. One volunteer also found milkweed starting to sprout in her Houston,Texas backyard. Check out the Journey North sightings maps. Please help document where monarch butterflies and milkweed are present. Even during February, don’t forget to enter your sightings!